Although I despair of politics, you and I just cannot avoid or escape it in everyday life, much as many of us would like to. I don’t claim to fully understand it, or even understand it to a novice level, but I do get gut feelings about what is wrong and what is right. My earliest memories of politics, around the 11-16 age range are how I was influenced in my leanings by the media. I remember being confused as to who stood for what and even which MP was a member of which party. It was all such a jumbled mess. However, I could sense what the parties stood for in general terms. Who represented who in terms of social class. It didn’t help that my parents were on either side of the political divide, with my Mum being a Labour voter, my Grandfather on her side, Walter Jenkins, being a former Labour Lord Mayor of my city of birth. My father kept chirping on about how Margaret Thatcher was the greatest leader of UK government of all time. But then again, he’s all about money and a complete Narcissist. Back then he was a charge-hand scaffolder working in the Berkeley and Hinkley Point power stations and other big contracts for what was then GKN Mills, later GKN Kwikform and earning great money for that period. When I started to develop my own views and leanings, I discovered myself to be completely in tune with the original principles of the Labour party. A socialist, wanting the people to be the first priority in any political debate and decision and for their views to be respected and part of the political process. A true democracy. The votes I have cast have only ever been for the Labour party, including getting New Labour into power and getting them in for the second term. I also voted for Miliband’s Labour, although grudgingly. I think my socialist views led me into the social care sector, first as a hands-on support worker or a year and then in various technical roles for a further six. Since those times, voting apathy has been a big part of my thoughts when it’s been time to vote and the was because I felt that New Labour just didn’t represent me, my principles and those that I thought were meant to be those of the Labour party. The principles that gained my support in the first place. My utter loathing and confusion of politics had returned. How can the Labour party do this to me, to us the voters? Take us into what was dubbed an illegal war based on highly questionable evidence, sell us out for honours and titles for the already elite and dismiss the voters’ views so badly? I’d come to the conclusion that they were as bad as the Tories. ‘Labour MPs with blue underwear’ I called them. Then along came Jeremy Corbyn, who I had read about from various online sources. There’s a man of principle, a man of his word, I was thinking. When he spoke, I didn’t feel I had to insert a political babel fish into my ear, or record the speech or interview to go over again and again, until I was able to make an interpretation of the broader message and see through the political jargon and spin. As has been billed, he is a straight-talker. He also has integrity, humanity, puts people first and their human rights appear to be a top priority. The will of the people, democracy, is what appears to shape his policies and that seemed almost unique and even novel in the political landscape that I saw before me. I was delighted to see him become leader of the Labour party and felt a certain relief that maybe things were on the change. A change for the better. Then came all the political in-fighting within the Labour party, which the MSM (MainStream Media) seem overjoyed to be reporting. My heart began to sink again. The despondency and thoughts of ‘here we go again, a party with an identity crisis’ began floating to the surface. I began losing hope for the only thing that I could see bringing about a change in this country and my voting apathy was brewing up again. Then I came across The Candidate by Alex Nunns and read a free sample of it on my Kindle app. After three pages, I went online and bought it. Cue a night of no sleep. I was hooked. The in-fighting now could be understood, although not agreed with. The resistance against him that was being spouted all over the news was becoming obvious in its motives. I could see two reasons why they didn’t want him as leader the first strikes me as not wanting to fall out with the new breed of Labour party backers, big business and MSM. The second was a win at all costs mentality of New Labour which seems intertwined with the first reason. The obvious influence that the new breed of political backing seemed to be all that New Labour cared about and certainly not for the will of the people who were actually casting their votes at the ballot stations. There’s more to it than that, mostly behind the scenes political jostling and weighting by process, but I feel disconnected from that and totally powerless to do anything about it. There’s still a lot of the ‘unelectable leader’ and ‘find another leader’ about in the debates, in parliament, MSM and online. But I don’t see it, all I see is Blairite collective and a Tory leader who is threatened by what Jeremy Corbyn represents. Digs about hero worship and fanaticism are slung about and at him and this does have some truth about it. It does seem to be a trait of some factions of the left, but that is because of where many left sided voters come from. The working and lower classes, the disenchanted, disadvantaged, the under-represented and even misrepresented down-trodden ‘peasants’ that make up the majority of the country. Yes, in Bonnie Tyler’s words, we’re holding out for a hero. That’s because we have grown to feel so powerless that we can only see somebody of a higher status, ie a politician or part of what we see as the decision making process, to make the right decisions and lead us into a better life. But that doesn’t have to be the only way. Okay, because of the whole political system, it is the only practical way of getting our wishes put into practical effect, made national policy and passed into law, but it isn’t the only path. There is a path that we are under the illusion still exists within the current system but is actually possible with effort and is the way forward. That path is called Democracy. What is happening and this is evident if you know where to look, mainly the internet and its plethora of community and individual based sites that are out there. It is what is now being called a movement. A collective of people all trying to pull in the same direction, towards a common goal, the return of democracy. Not the fake democracy that is presented by referendums where the voters are manipulated by MSM and their billionaire backers who want to shape societies to maximise their power, profits and wealth. Not the illusion of democracy presented by the governments online petitions that are then roundly rejected and ignored in the end result. It is the democracy that brought about Corbyn’s improbably rise to the Labour party leadership and subsequent re-election, against the weighted processes that were designed to stop it happening. I don’t see Jeremy Corbyn as the knight in white armour, riding towards our freedom. I do see him as a role-model but what I really see him as is a voice of the people. Somebody we can trust to be our mouth piece and to carry forward the views and wishes of the people in a democratic way. A leader who will stick by his principles which happen to be the principles of a huge number of the population of this country. What he has done is unite a hell of a lot of people who share the same philosophies and principles. A better society, a truly sharing and caring society. A fair society. Who wouldn’t want that, if they weren’t after a disproportionate slice of wealth and power through guile and least effort? I could be accused of being brainwashed by another form of propaganda in the form of Alex Nunns’ book, but all it did was resonate and connect with what I have been feeling for a very long time in my stomach, heart and head. It did this by explaining the principles of the movement and by pointing out that there are a hell of a lot of like-minded people out there. An example of this is the Momentum movement. This has restored hope and made me feel that I can have a connection to the people that I cast my vote for. How can that be brainwashing, when all it has done is reinforced my views and beliefs? How can that possibly be a bad thing? I am a critical thinker and what I have seen through this critical thinking is that there is a lot that is very, very wrong with the way things are and have been for quite some time. The only way that we can make that right, within the current rules and socially acceptable norms are to get Jeremy Corbyn’s Labour into government. The next step, should this not come about, would be to exercise peaceful and lawful civil disobedience. This is akin to the unionsised route, which the Tories and New Labour before them have tried to weaken. It is also not how many would prefer to do it and I agree, but it is a better way than outright revolution which is what history has taught us is the extreme, but effective, way to overthrow tyrannical rule. It is not a veiled threat or attempt to incite rioting or anything like that, I truly hate to see scenes of that nature. It does seem to be a vision in the subconscious of where things might lead in the distant, or maybe not so distant, future if the worm that is society is continued to be trampled on and be forced to turn. Let us hope that the movement and the collective thoughts and voting actions of the people can get us back to true democracy, or even something resembling that, by playing within the ever constricting rules that are in effect today. It is all about the will of the people, not about Jeremy Corbyn himself. He’s the best person to speak for us at the moment and I hope that continues, but it isn’t all about the man, it’s about the movement. The movement of the people’s will. Now that a General Election is upon us we need to make our voices heard and use our votes to get the vile Tory party out. We also need to encourage others to ensure that they are registered and to use their vote to get the Tories out. In some areas tactical voting may help, such as where LibDems are second to the Tories. Overall though, we must be aiming for a majority Labour government. I will personally never forgive the LibDems for selling us out to the Tories in the 2010 coalition and voting for the cruel austerity measures that are killing people and doing nothing to reduce the national debt which has, in fact, almost tripled. Nor do I swallow their anti-Brexit line. They cannot and will not reverse Brexit. They have already said that they’re open to another coalition with the Tories, so that will only give us the self harm that is hard Brexit. They have also been supportive of Donald Trump’s unnecessary military actions in the Middle-East. Only a Jeremy Corbyn led Labour party will give us the chance of a sensibly negotiated Brexit deal with the EU. Only Labour will revolutionise and rebuild our economy through investment, proper taxation of big business and the super rich and fair wages for the real economy drivers, the working classes. 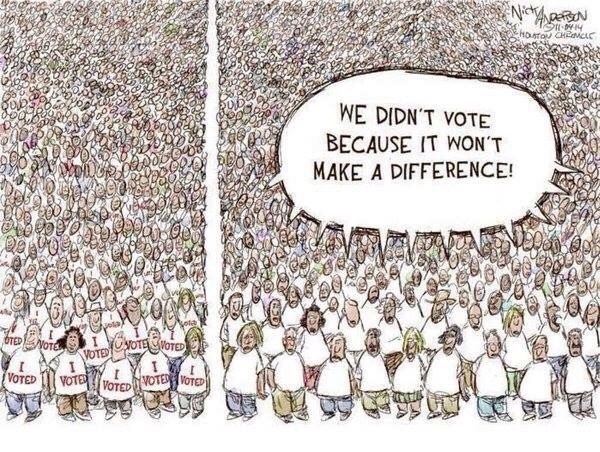 Use your vote or lose your voice. 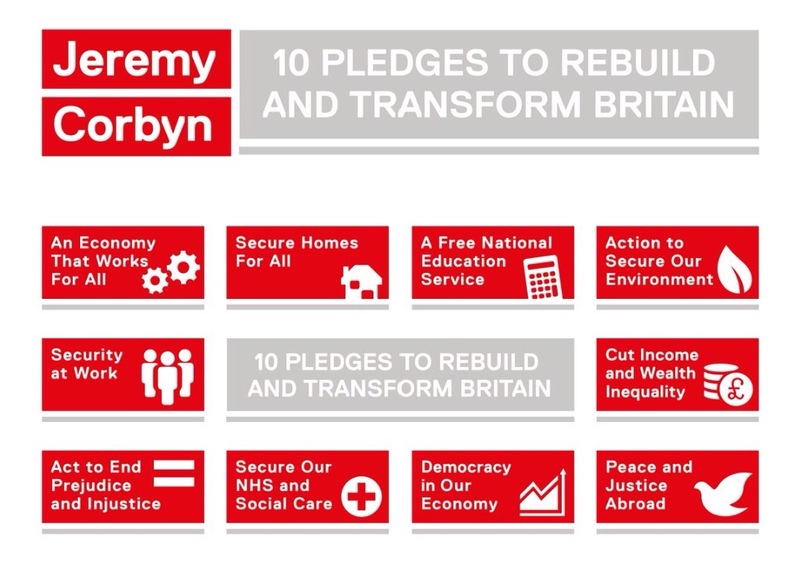 Let’s rebuild Britain by electing a government that works for the many, not the super wealthy few. Vote Labour, get the incorruptible Jeremy Corbyn into Downing Street. craigmdotnet Mental health sufferer. IT geek. Former digital comms coordinator for large charity in social care sector. Socialist. Thank-you for this article. I couldn’t have said it better myself! With you in solidarity comrade. Great article, about a man who has lived his life in the Palace of Westminster and gets still retained his basic connection to humanity. A role model indeed. Your sense that this is a movement, a joining f like minded people who care about the policies is also spott on. Ed Miliband whipped the party into not opposing some of the worse, most barbarous changes to the welfare system where we were already been past the point of any doubt about the democide being enacted. To those who carp on about “hero worship” etc I have one thing to say : if I put up a poster or a FB event and the topic was to unite grass root people around the ralymg call of neoliberalism, who would show up? Momentum has grown out of the hunger for change. A hunger that is not met by the Ed Miliband, Yvette Cooper and Hilary Benns. Thank you for taking the time to respond and add your voice, Florence. Very much appreciated and encouraging. Good piece, like you it’s the message I’m impressed with. I admire JC, but would feel the same for anyone who represented us in this way. Tired after 48 years of voting Labour of the direction the Party was going in. Great piece, happy to reblog it. Simple and straightforward works every time. I followed a link from the Blog: Britain Isn’t Eating, to your site, and I have to agree with everything you’ve so eloquently said. After the local voting, yesterday, where Labour didn’t do so good, I felt a sense of hopelessness once again but, reading your words today, I feel I should set that behind me, and make sure that I educate as many of my friends and family as I can reach, over what is needed for a better future – and that definitely is NOT a Tory-controlled future! Very good article, very honest and true. I truly hate what the Tories, ably assisted by the LibDems, have done to our country. I hate that they have inflicted such immense suffering on their own citizens, many of whom are some of the most vulnerable in society. I ask myself everyday how can ANYONE vote for these cruel, vicious millionaires. Of course, I already know the answer to that; they are so very good at pulling the wool over our eyes. They present themselves as kind, caring and affable individuals, but scratch the surface and the truth is starkly revealed; they are greedy, selfish people, devoid of compassion for those so much worse off than themselves. And the media are complicit in this charade, they continually attack and ridicule the honest, principled man who is Jeremy Corbyn, whilst completely ignoring the horrendous results of the Tory policies. This is the most right wing government this country has ever had and the media let them get away with it. I’ll get down from my soapbox now, but if anyone can explain this for me I will be eternally grateful; WHERE is the logic in “I would vote Labour but I don’t like Corbyn so I’m going to vote for the total opposite”???! It’s the policies that they should be holding on to, they don’t have to like the leader! I also believe that the only reason Theresa May called the General Election is because the CPS were about to give the green light to charge up to 30 Tory MPs for electoral fraud. I have lived my life adhering to the maxim: NEVER TRUST A TORY and it has always provided the right thing to do.